Whether fed up of the city and decided to go home, or time in corporate exile in the city on assignment is finally up, many expatriates leave Hong Kong but bring with them fond memories. In some cases, separation anxiety sets in as things and experiences commonly taken for granted in the city suddenly get their much-deserved adulation. Whether it’s 7-Eleven or Circle K, you’ll always have that chance to grab a craving anytime of the day. From snacks and beer to theme park tickets and from gift cards to mobile SIM cards, you’ll get them in one place. You can even make use of the 7-Eleven locations to pick up online merchandise like Zalora or FedEx and return products you don’t want to keep. More than just that 24-hour McDonald’s that offer round the clock serving of burgers, coffee and soda, there are also other fancy restaurants and diners that address hunger at any given time. The Flying Pan’s all-day breakfast, lamb and chicken kebabs at Ebeneezer’s or bowl of ramen at Ichiran. So you don’t have to microwave that leftover food hoping it is still edible when your growling stomach makes a marching order at 2am. Expats from London, New York or LA can easily distinguish the difference between subways back home and Hong Kong’s MTR. Running frequently and on time, the MTR addresses the crowding problem the city has been famous — or infamous — for. The MTR is also clean and well-ventilated, making them a choice travel option with predictable travel time, and an escape from the city’s punishing summer weather. More than 100 years later, the Hong Kong tram, fondly called ding ding alluding to the sound of its bells, must have seen how Hong Kong island has transformed over the years. 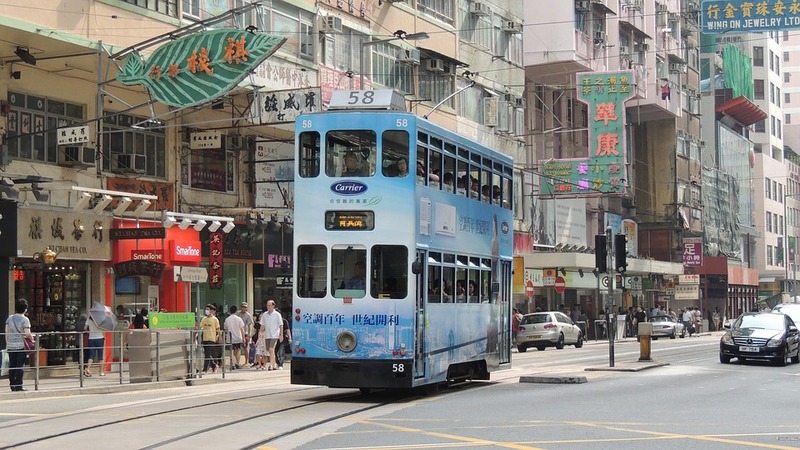 Taking a slow trip in this beloved tram allows passengers to witness the daily life that unfolds in Hong Kong: office workers making their way to skyscraper offices, passengers patiently waiting at bus stops or merchants at the market preparing goods unloaded by delivery trucks. 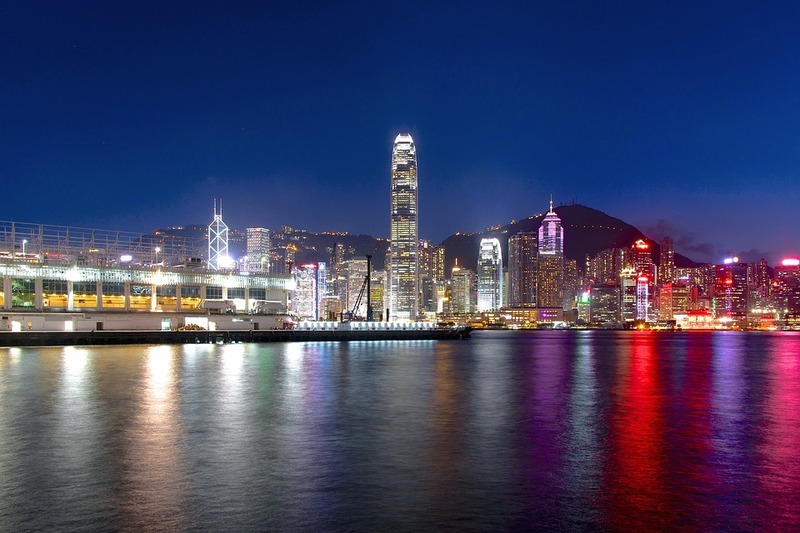 Perhaps the most beautiful skyline you’ll ever see, the buildings that offer backdrop of the Victoria Harbour, are like Lego blocks carefully arranged to build such iconic tourist backdrop for tourist selfies by day, and draped in colors at night. No wonder hotel rooms, office spaces and residences pay a premium to get a glimpse of such a sight. Whether you are a conservative expat committed and loyal to your taste bud’s comfort zone or an adventurous spirit looking to explore something new and exotic, Hong Kong is for you. 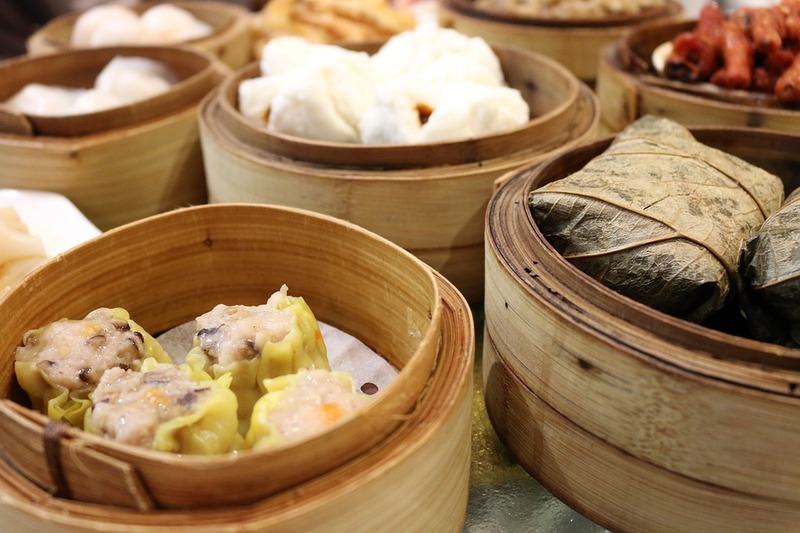 For every local dish that satisfied locals for a long time — dim sum to stinky tofu — there are foreign menu items for both newcomers and old timers longing for variety. While this is expected in a typical city, an extensive transport network gets you from point A to point B in no time. From the world-famous subway lines, ferries and trams to double deckers and minibuses, each plays a role to complement others. Planners have done a great job in making such network actually fulfill its purpose. It’s not perfect — rude taxi drivers and clogged roads that lead to traffic jams are always there — but local transport has its character not found overseas. And that’s what makes us miss it. Beyond the buildings and huge crowds, there’s a wider space of greenery that offer plenty of things to do. Mountain biking, hiking, trail walking or endurance races are available within these confines. Otherwise, you can also see wetland parks, monkeys, aviaries and a UNESCO-listed geo park. What makes them unique is that you don’t have to travel long enough to get to enjoy them. Expats might be hooked to their old reliable ibuprofen and paracetamol to cure ills and stress and may be surprised to receive half a dozen medicines to cure for a common cold after visiting a local clinic, but Hong Kong offers alternative cure to ailments. Traditional Chinese medicine has rich history of over 2,000 years. Acupuncture, massage, cupping and countless herbs are some of the techniques aimed to relieve us from our physical burdens and pains. Infamous for being snob and apparent uncaring attitude who don’t open doors for us nor wait for us at elevators, Hong Kong people have a special place in the hearts of expats. They may be aloof, but wait to get to know them and they’ll open their doors for you, invite you for dinner with the family or share some insider info on local attractions, tricks and bad words and phrases you should watch out. Love it or hate it, Hong Kong would undoubtedly be home to expats and for those who have been here for a while, there’s that alluring charm that’s difficult to resist. The mere thought of leaving the city for good can evoke happy memories: with friends, explorations and mishaps, something that might be hard to replicate elsewhere. Thank you Hong Kong for the wonderful memories. Wishing for Snow in Hong Kong?